The healthcare industry Massachusetts is growing and it can provide stable jobs for people looking to join the field. If you are a high school graduate in Massachusetts you can get a certification as a Nursing Assistant. A CNA training program in Massachusetts can be completed in a matter of weeks, and once completed, you will be eligible to work in hospitals, nursing homes, and a wide range of other healthcare institutions. We have programs listed here in Massachusetts from Boston to Providence. If you’re looking for free CNA courses near you in Boston, the suburbs or elsewhere in Massachusetts, the following accredited facilities offer free CNA training classes. If you have specific questions about the program, how to get free training, or class schedules, please use their contact information or website to learn more. Who is the Regulatory Body for CNAs in Massachusetts? The Nurse Aide Training program in Massachusetts is regulated by the Department of Health and Human Services. 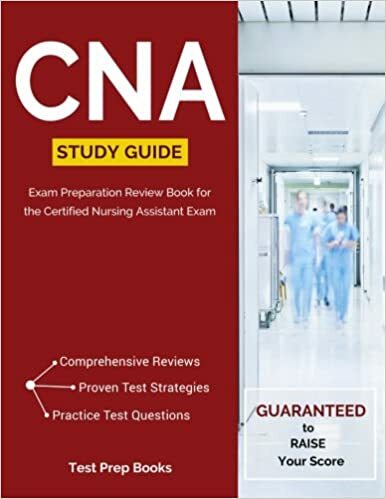 Who Administers the CNA Exam in Massachusetts? The Nurse Aide Competency Evaluation in Massachusetts is administered by the Red Cross Institute. Our CNA practice tests are a free way to help you prepare for the CNA multiple choice exam. Take all of our tests by clicking on the following buttons. With the CNA training program, candidates must complete 100 hours of minimum CNA training. Within this, candidates must complete 75 hours of classroom training and 25 hours of clinical/externship training. The 25 hours of clinical work typically involves hands-on skills, such as bedpan processes, patient daily activities, grooming, vital signs and patient communication. The length of CNA programs varies from 4 to 12 weeks, depending on the program. Typical costs are broad in range, but average between $850 and $2000, depending on the program. CNA programs are available across the state at Braintree, Easton, Worcester, Leominster, Lawrence, Springfield, and Peabody. Before enrolling in CNA classes offered by the Red Cross, you are required to attend an orientation session, pass a criminal background check, completed the Red Cross physical form/TB test and pass a reading and math assessment. You may also present you high school diploma or GED certificate to bypass the reading and math assessment. Once the NACE is passed, CNAs have their name listed on the statewide Nurse Aide Registry, which is also administered by the Red Cross. Nurse Aides in Massachusetts must complete a renewal registration every two years. The CNA exam in Massachusetts is called the Nurse Aide Competency Evaluation. The NACE is administered by the Red Cross Institute. It has two parts, a 60 question multiple choice test and a clinical skills exam. The clinical skills exam requires that the candidate bring an “actor” to conduct skills on. The actor must be over 18 years of age and not be taking the CNA test within the next 6 months. More information on the test can be found in the Red Cross Nursing Aide Testing Candidate FAQ guide here. How Much Does the Massachusetts CNA Exam Cost? The cost of the knowledge and clinical exam with the written version is $93.00. The cost of the knowledge and clinical exam with the oral version is $103.00. Where Can I Take the CNA Exam in Massachusetts? Testing for the CNA exam in Massachusetts is hosted by the Red Cross throughout the state. How Much Does a CNA Get Paid in Massachusetts? The average CNA salary in Massachusetts is $32,340 according to the Bureau of Labor and Statistics. Should you have to get in touch with the Massachusetts Nurse Aide Registry, their contact information is listed below. The link will take you to the website where you can review the state’s status for a CNA. 99 Chauncy Street, 2nd Fl. If the locations offering free CNA training are not a good match for you or your schedule, there are many other tuition-based programs that can help you earn your CNA certification in Massachusetts as well.